Insite Energy, the district heating specialist, has been appointed to provide full metering, billing, payment and monitoring services to one of the UK’s largest energy centre schemes. The community energy network which previously supplied the Olympic Village in Stratford, London, will now distribute heating and hot water to the 176 flats and houses of Chobham Farm, a new development by registered housing provider and social regeneration charity East Thames. East Thames Group says monitoring the network will ensure residents pay the appropriate amount over the long-term, promptly identify if any faults occur in the system. Data gathered from this scheme will help East Thames Group develop the most efficient energy systems for housing schemes in future. 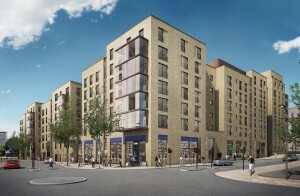 Insite Energy, the district heating specialist, has been appointed to provide full metering, billing, payment and monitoring services to one of the UK’s largest energy centre schemes, Olympic Village in Stratford, London, consisting of 176 flats and houses of Chobham Farm, a new development by registered housing provider and social regeneration charity East Thames. Anthony Coates-Smith, Insite Energy’s Business Development Director, said: “The planning consent for this site requires East Thames to connect to the district heating scheme operated by Cofely, taking away some control over the cost of heat supplied to their residents. Through Insite Energy, East Thames receives detailed information on heat network performance within their buildings, safeguarding the element of heat costs they can influence and reducing the risk of costly penalties included in the supply agreement with Cofely. The Stratford site’s energy centre scheme – which includes combined heat and power (CHP) units and biomass boilers, creating 20% fewer CO₂ emissions than a conventional system – was the largest in the country, with approximately 10 miles of energy distribution networks, when officially opened by Mayor of London Boris Johnson in 2011. It was designed at the outset to be adopted after the 2012 Olympics by new buildings and communities and the London Legacy Development Corporation (LLDC) has granted planning consent to ultimately build a family neighbourhood of more than 1,000 new homes on the six hectare (14.8 acre) Chobham Farm site. Insite Energy is the provider of metering, billing and payment services to more than 120 communal and district heat networks and 15,000 end-customers across the UK.